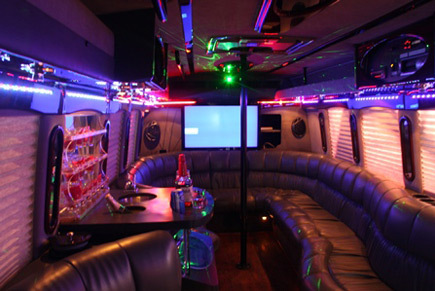 "Blanco" is arguably the most attractive limo bus in Texas and we're delighted to offer it to you on a regular basis. With a new lighthearted paint job and a newly redone inside, there's really nothing one could say negatively about this bus. 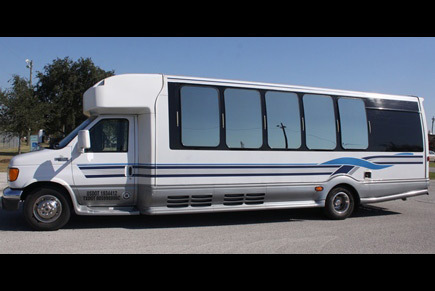 Room for well over twenty of your friends and all of the amenities (and the ride) of a limousine packed into a bus that can take you both long distances and short.